Xiao Zhu and Thomas are leading the way in the sustainable farming practice called “Permaculture” in China. 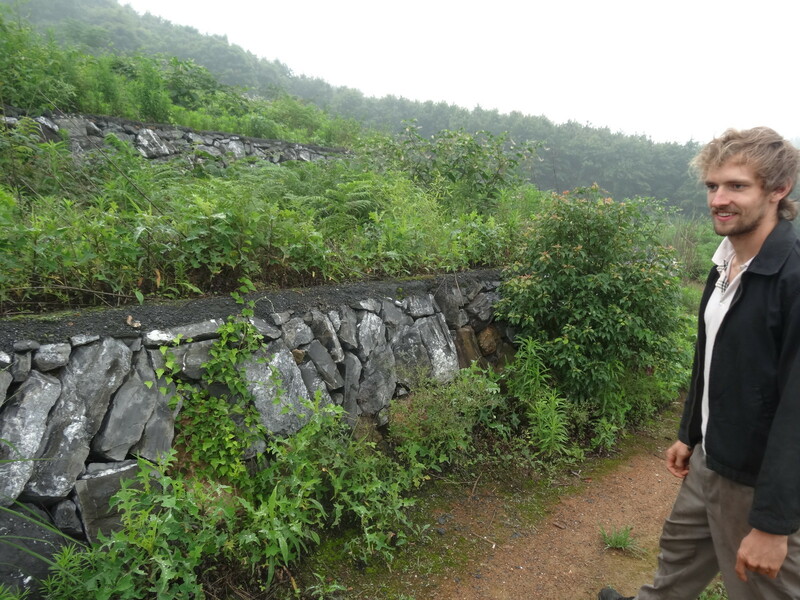 Three hours south of Shanghai, in the beautiful village Xiatushan is the mountainside where they are establishing the Hangzhou Institute of Permaculture. Thomas, Xiao Zhu and Goran in the courtyard. 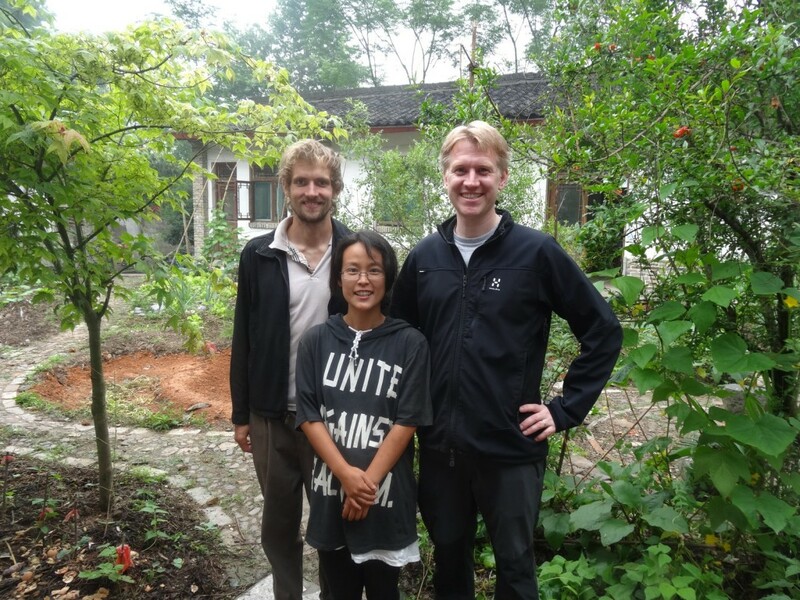 Since the startup in November 2012, Xiao Zhu, Thomas and their wwoof-volunteers have established a lush vegetable garden and are taking care of a terraced mountain side for food foresting and closed cycle gardening. Their next project is to build an ecological cob house on the plateau overlooking the valley. 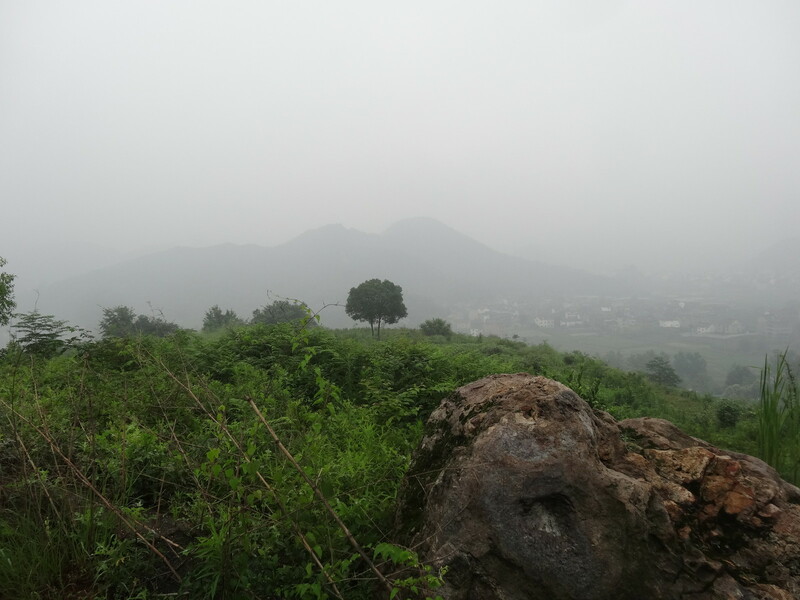 This hill is the main area of the permaculture institute, overlooking the valley and the neighboring village.. I was touched by their enthousiasm and energy, which lighted up the somewhat rainy day. They are devoting this part of their life to develop and fine tune the permaculture principles and practices to the climate of south east China. One of the goals is to establish a demonstration farm to show that it is possible to improve the soil health and at the same time get an abundant harvest. It is a long drive from where we live, which unfortunately makes it quite un-ecological to visit often, but we strive to go there some time later this year with the whole family to contribute and to learn more. The land was partly terraced some years ago, and was more or less abandoned.